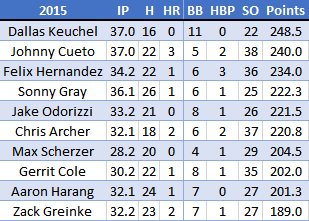 Andrew’s thoughts: Here’s a full list of qualified starting pitchers with better K/9 rates than Robbie Ray last year: Jose Fernandez (RIP). There. That’s it. That’s the list. 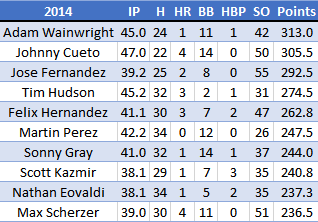 Yes, Ray struck out more batters per nine innings than Scherzer, Syndergaard, Bumgarner, and Archer. Clayton Kershaw didn’t pitch enough innings to qualify, but yes, he struck out more batters per nine innings than him too. Ray’s problem was walks and homers. He issued 3.67 walks per nine and allowed 1.24 homers per nine. That’s rather bad. But the strikeouts are just insane, and his 3.76 FIP is tolerable either way. 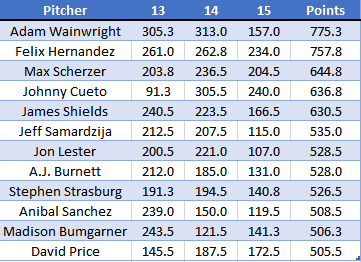 His 3.45 xFIP, a number that tries to normalize HR rates to league average, ranked eighth among all starters, which basically says if he can figure out how to give up a few less dingers (easier said than done, I know), there’s front line SP potential here. I mean, he had a .352 BABIP against last year, the worst in baseball among that same qualified SP group. That’s just bad luck. By virtue of sheer luck regression, he should show improvement. If the strikeouts stick, oh boy. If you look back through his month to month splits, also, he had a 5.08 FIP in March/April and a 5.02 in September/October. 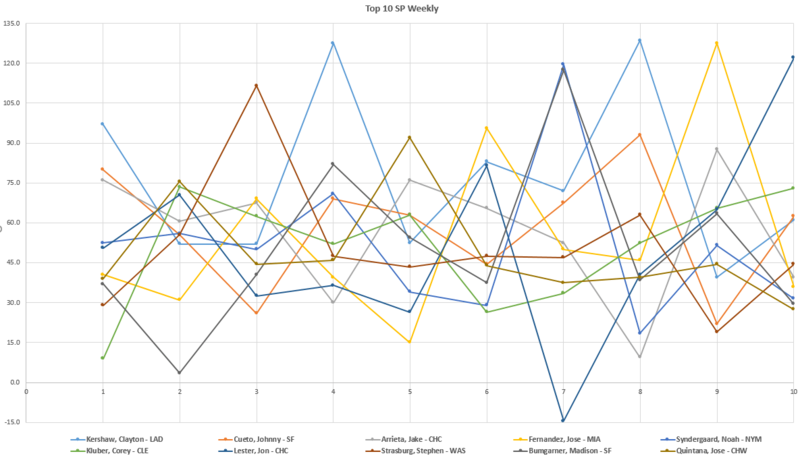 Every other month, his FIP/xFIP numbers look great. In those months, his HR/9 rates were 1.42 and 1.84, which are just too high. Those’ll come down. Those two months jacked up his overall HR/9. In June, July, and August he was at 1.05, 0.94, and 0.90. Couple that with the K’s, and you’ve got yourself a #2 starter? Maybe better? He’s a young pitcher, so starting slow and ending weak isn’t alarming at all. I actually think it’s cause for optimism, because young pitchers can adjust and develop endurance, etc. With any breakout guy, there’s skepticism. I’m not 100% convinced Ray’s the next Archer or whoever. Was it fake? Was it real? If it was real, is it sustainable? Is there more? I tend to dismiss these guys more often than not, which is dumb on my part, because the reward usually way outweighs the risk and if you dismiss them and they are for real, you’ll likely never get another chance to buy on them again. But he did enough last year to warrant giving up a $4 replacement level 1B. Even in 2015, Ray posted an 8.39 K/9, 0.63 H/9, and 3.53 FIP. Guess what? That’s really valuable! It’s actually shocking, in retrospect, he only went for $4 in our initial auction. In over 1,000 career plate appearances, CJ Cron has a .327 wOBA. That’s alright. Of 1B’s with 800+ PAs from 2015-16, he ranks 23rd in wOBA. So he’s definitely useful, but he’s a back-up right now. He’s 27 though and doesn’t strike out a ton like a lot of the power hitting 1B’s do, so there’s certainly room for growth with him. All of that is to say, I love this deal for HLR. I didn’t even mention Ivan Nova, who is a decent, cheap depth pitcher that rolled out a 3.39 FIP and 3.54 xFIP in the second half last year. Say it again: that’s valuable! I think this trade represents silly value for HLR and even if both the pitchers fizzle out, the bet he placed on them being legit here was tiny enough that it won’t really hurt him. Jordan’s thoughts: Honestly I was surprised to wake up to the commotion over this trade even after looking at it. Bailey does a great job of summing up this deal. 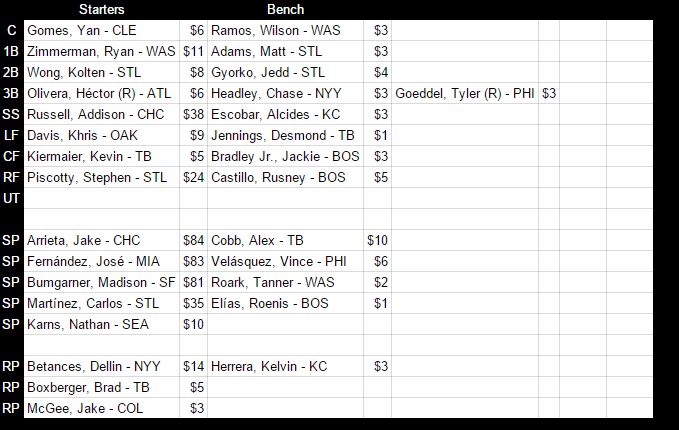 Using the FanGraphs Auction Calculator that Dan Beachler took time out of his life to tune to the league (its not perfect, but its probably right enough that I’m not challenging him) you can see that Ray is worth something like $30 this year. Nova is at the $18 level. That’s two very valuable pieces. You could truly argue that either piece (clearly more so Robbie Ray) with that kind of value discrepancy already built in, plus Bailey’s arguments for their possible improvements, these guys are as valuable (if not more so) than the top minor leaguers in our league. What did that return? Cron. Well Steamers says he is worth $14, so he’s coming at a value as well. If this deal was Cron for Nova, sure great whatever. 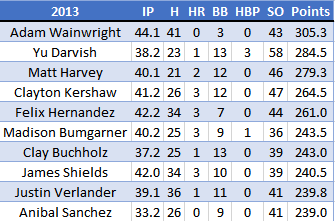 Adding in Robbie Ray is just incredible.